FREE BONUS for 2019! I was so inspired by my research into the Victorian holiday traditions when putting this book together that I decided to do a series of FaceBook Live videos on some of the traditions in the book. AND I’m going to try out some of the recipes and other Victorian traditions for my own Christmas celebration and share them with you. You can share my holiday preparations by watching my FaceBook Live videos from now until December 23rd if you’d like to join the fun. Have you ever wanted to attend a Victorian Christmas celebration? 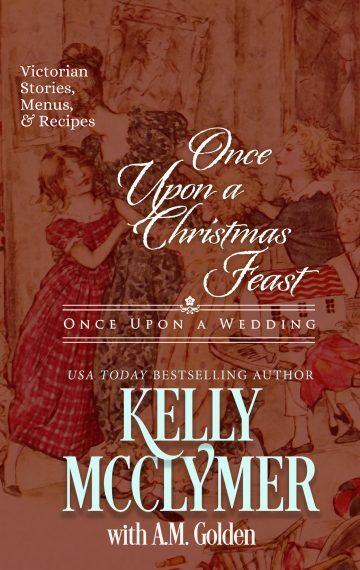 Well now you can, in Once Upon a Christmas Feast you not only get an original story, but menus, recipes, favorite Victorian Christmas stories and songs. What’s in this jam-packed Victorian Christmas celebration of a tome? The Duchess of Keystone is an unconventional woman who loves fairytales and happily ever after endings. When it comes to Christmas, she loves nothing better than to have her family gathered at her estate enjoying Christmas joy, food, games, and entertainment. This year, her niece Margause arrives to view the wonder of a fairytale Christmas celebration. At three, Margause loves to slip into the library of the ducal estate, where her parents fell in love, and peruse the books she hopes to read one day soon. Observant and advanced for her age, Margause notices that her aunts and uncles are not as happy as they should be about her Aunt Kate’s upcoming Twelfth Night wedding to a handsome, charming Irish rogue. She also doesn’t understand why her mother’s former governess Katherine tries so hard to cheer up Scroogish Sir Robert. It seems obvious to Margause that Sir Robert would need Mr. Dicken’s three ghosts to make him feel any Christmas joy. But then, what else does the Duchess of Keystone offer everyone, but a chance at a fairytale Christmas, where miracles happen around every corner? Included with the original short story are traditional Victorian Christmas stories and essays by Charles Dickens…what? You didn’t know “A Christmas Carol” wasn’t his only Christmas story? Nope. Dickens, along with Queen Victoria and Prince Albert, are actually responsible for making Christmas the holiday we celebrate today. 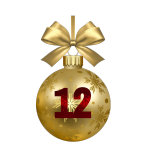 You’ll also find it handy to have the lyrics to several Christmas favorite songs, so you can make sure to lead your family in rounds of “The Twelve Days of Christmas” without messing up the lyrics. 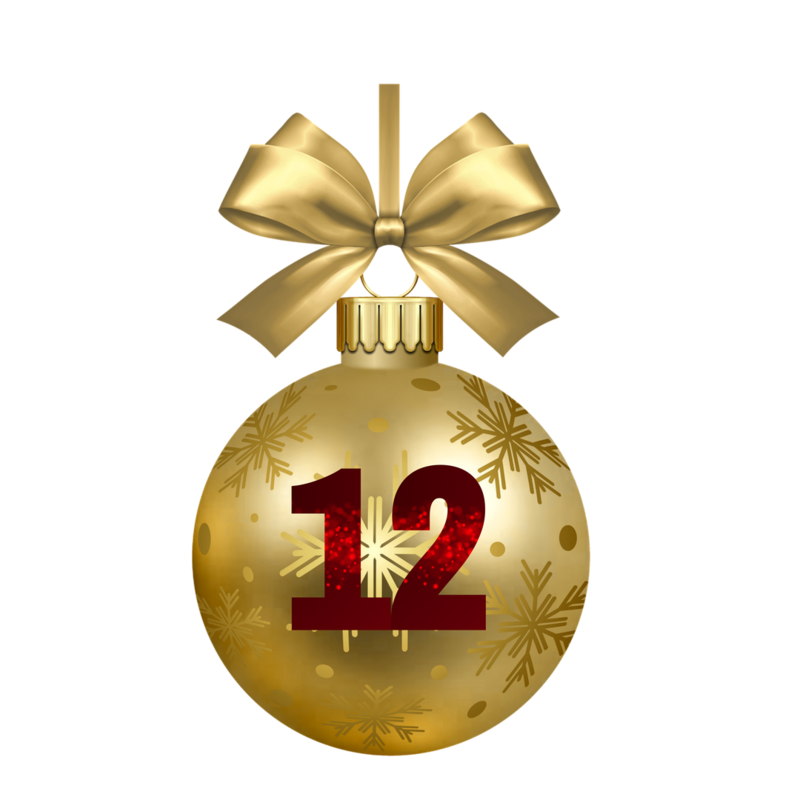 Next: and the best thing of all if you want help creating the menu for your holidays — 12 days of menus for celebrating the 12 days of Christmas. I asked my friend Arianna Golden, who is an author, a budding herbalist, and a fantastic cook, to create some menus and recipes for me for the holidays. She outdid my request and created a menu and recipes for all 12 days of Christmas (from December 25th through January 6th, in case you were wondering). All in all, Once Upon a Christmas Feast is your guide to celebrating a very Victorian Christmas.